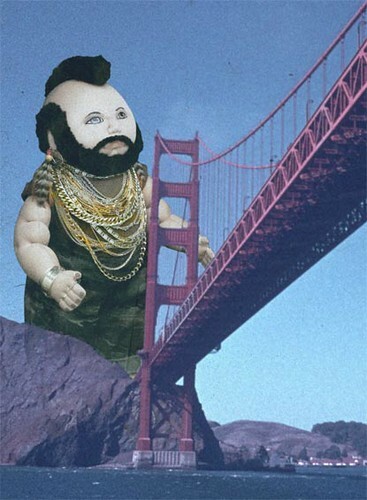 “I Pity the Dolls” makes its West Coast debut tomorrow, Thursday, May 24th from 7-10pm at RX Gallery in San Francisco. 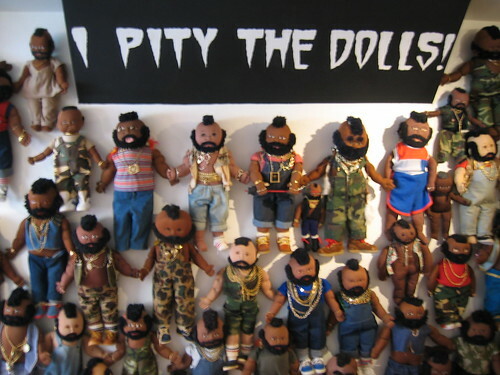 It features 175 Mr. T dolls from the world’s largest collection vintage Mr. T Dolls amassed by Greg Rivera and Mike Essl. Vidalia has some great photos of the show when it was in New York in June 2005.